BallyCara Resident, Colin Greinke, was born and grew up in rural Australia. Having experienced a very different way of life than what he does now, the transition to BallyCara caused him to lose his identity and sense of self. However, with the help of the BallyCara Sona Fit tool and the dedicated work of Leanne Paviour and Ruth Falconer, Colin is now enjoying all that his new life has to offer. Upon Colin’s arrival at our village, Leanne and Ruth soon became aware of his great passion for storytelling, particularly of his own remarkable life stories. Colin had a dream of writing his own book, however for many reasons, such as his inability to spell, he felt it was unachievable. To overcome his uncertainty, Leanne and Ruth offered to write with him. In September 2017, Colin began recording his stories on a Dictaphone, as Leanne and Ruth listened, took notes and transcribed to ensure every great story would make it to print. In four months, this process was finished. During the many hours that Colin was retelling his stories, Colin expressed that he was unsure he would be believed by others because of the adventurous nature of his life. In the hope to demonstrate their confidence, Ruth decided to share her dad’s story growing up in the New Zealand countryside – according to Ruth, her dad, Bruce Falconer, was a ‘wild child’. Colin connected with Bruce’s story which gave him the confidence to tell his own. When the book was complete, he gifted a copy to Bruce for him to read. Bruce eagerly embraced Colin’s book. He gained much joy from this special insight into Colin’s nomadic adventures living a resourceful, gritty and full life in the bush. He was humbled to hear how similar their unconventional upbringings were and was excited to meet Colin. 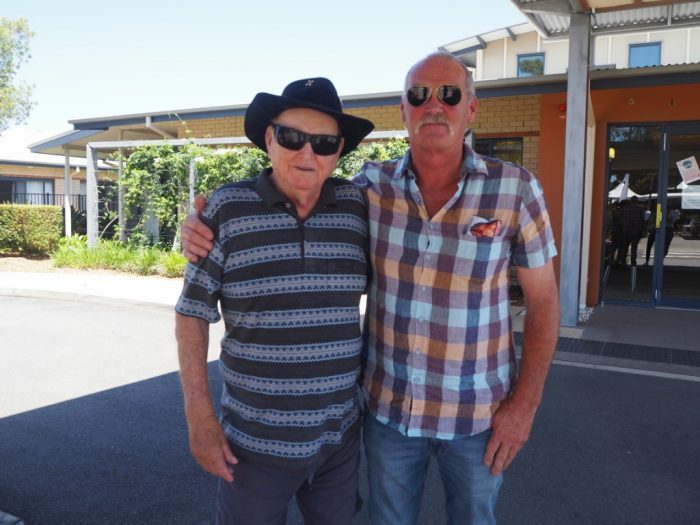 It was at the 2018 BallyCara Open day that Colin and Bruce met for the first time. This was a very special and long sought-after meeting that gave the pair a chance to finally touch base and share their heartfelt stories. Colin is an active member of the BallyCara Residential community and relishes being social, especially during afternoon catch-ups, and teaching others to play golf. He values and enjoys the new life that he leads but will always remember and be proud of where he came from – it was his book that has allowed him to consolidate this. The value of finding someone’s passion and spark in life is immeasurable and it is testament to the dedication and willingness of Leanne and Ruth to find the happiness and contentment that was still in Colin.